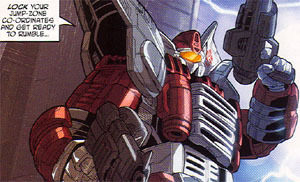 Profile: Jetfire is a consummate professional on the battlefield, which leads some of his soldiers to believe he is cold and uncaring. 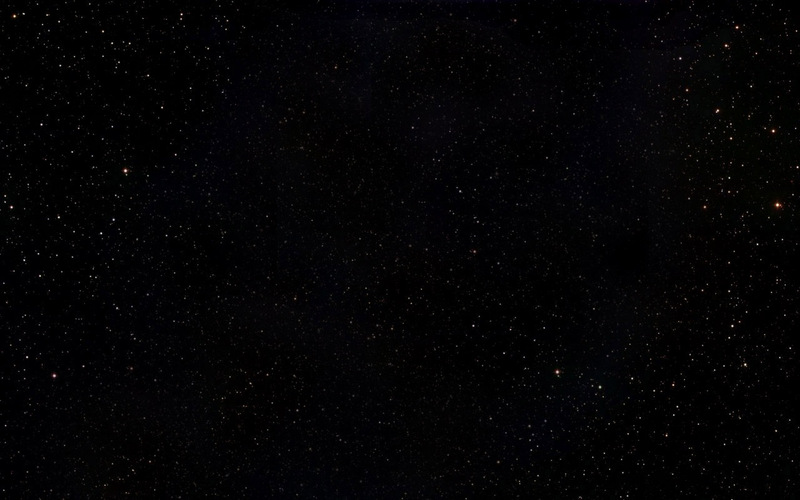 Nothing could be further from the truth. 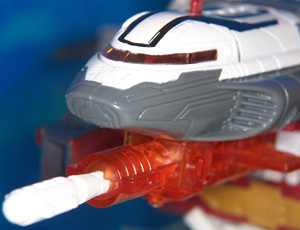 He just knows how to plan, lead and, more importantly, win battles. 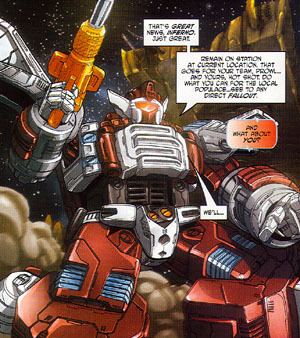 He has fought alongside Optimus Prime in many battles and for a while could combine with his leader. 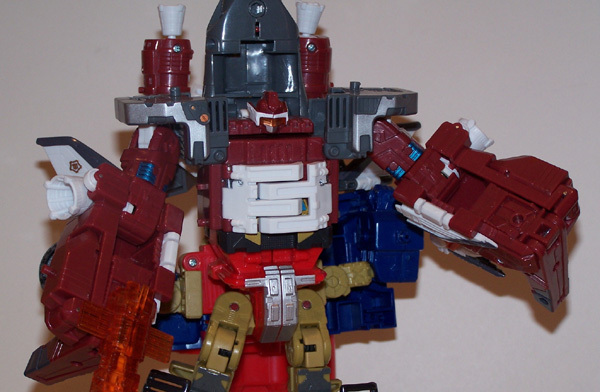 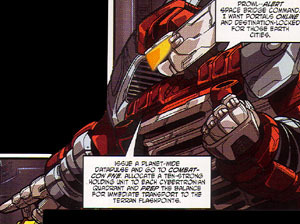 He is respected by Optimus Prime and valued for his advice in tactical planning. 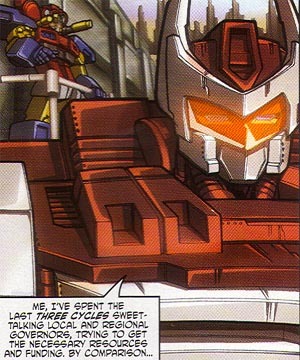 He may not always agree with Optimus Prime, and speaks his mind during these instances. 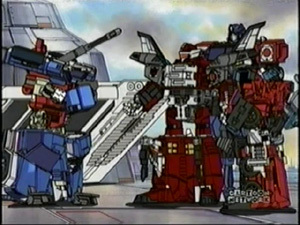 However, Optimus Prime welcomes any insight that this great warrior and tactician may have. 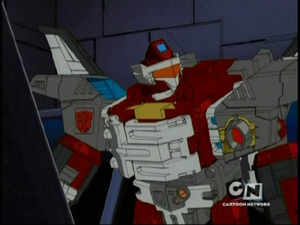 Jetfire has vowed to shape his Autobot comrade, Ironhide into a seasoned warrior like himself. 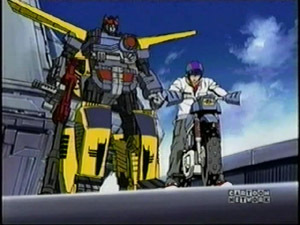 He is easily annoyed by Autobots that don't show as much ambition for warfare as himself. 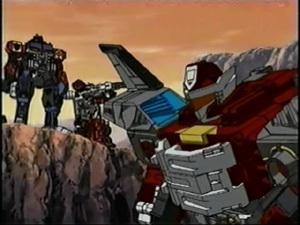 Whether it's Ironhide discussing engineering concepts in detail, or another Autobot that just wants to idle for a while. 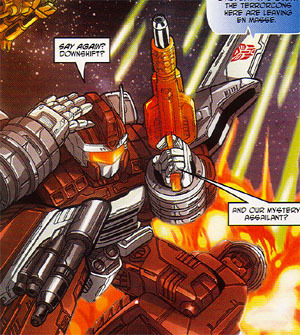 If Jetfire had his way, he would fight constantly until his enemies are vanquished. 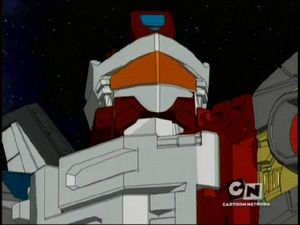 In the absence of Optimus Prime, Jetfire takes over command of the Autobots. 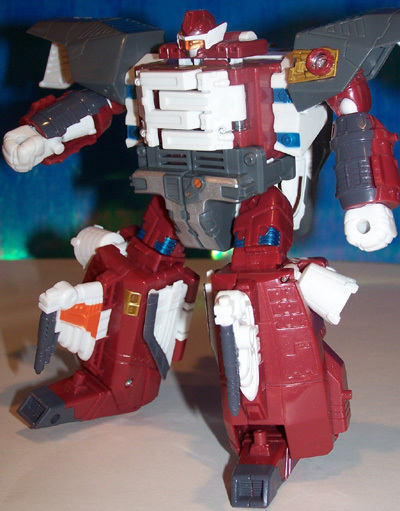 He dislikes the political aspects of leadership, but is capable nonetheless. 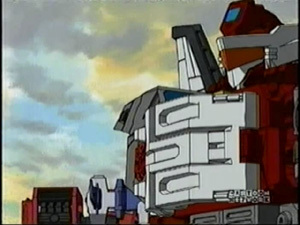 There is no other Autobot Optimus Prime trusts with this assignment like he does Jetfire. 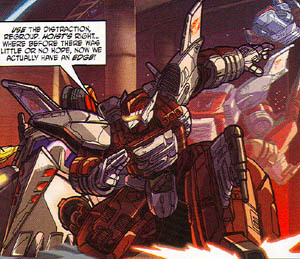 Even though some Autobots feel put off by Jetfire's personality, they all look up to him as a commander and trust his combat tactics. 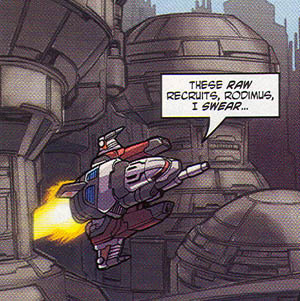 Even in stasis, Jetfire "dreams" of battles and further develops some tactics. 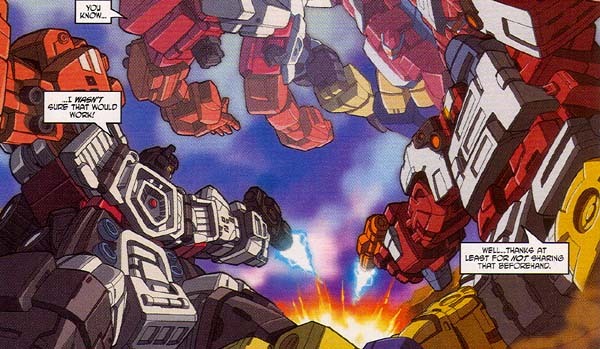 He has logged more time on the combat simulator than all the other Autobots put together. 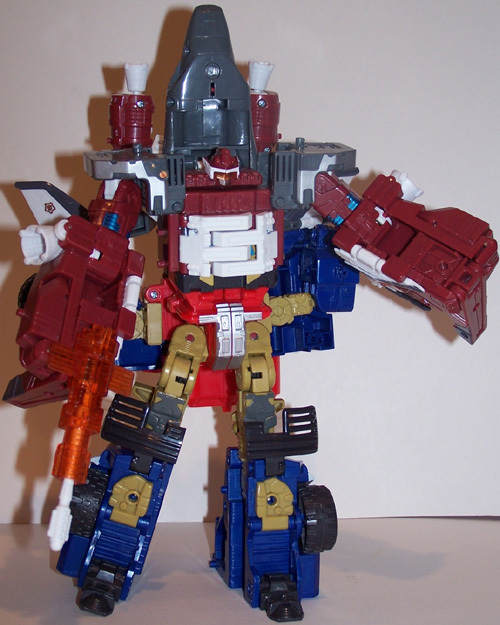 He wants to perfect every plan of battle in his repertoire. 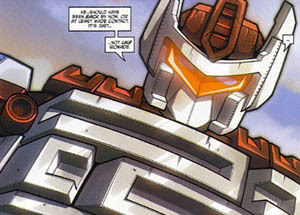 Abilities: He is a brilliant tactician and organizer, as well as a renowned warrior. 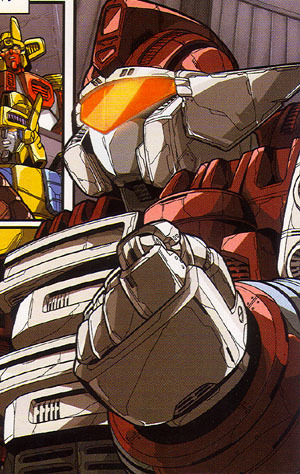 He has vast knowledge of his fellow Autobots' strengths and weaknesses, allowing him to choose the best soldier for the required task. 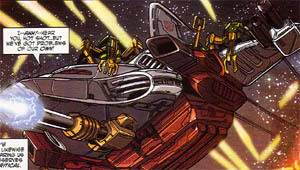 Jetfire was awarded a gold spark of combination, which means that he can powerlinx with other Autobots possessing a gold spark. 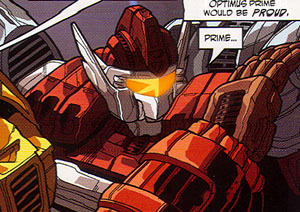 Such Autobots include Ironhide, Cliffjumper, Beachcomber, and his brother Overcast. 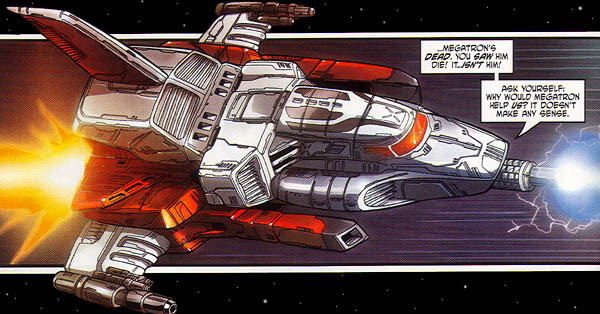 Jetfire still possesses impressive speed, able to travel between solar systems. 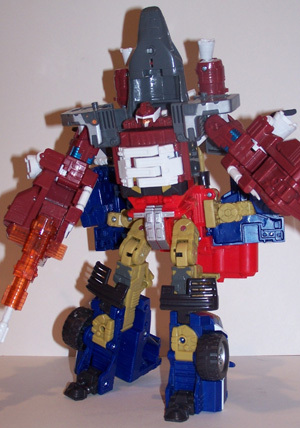 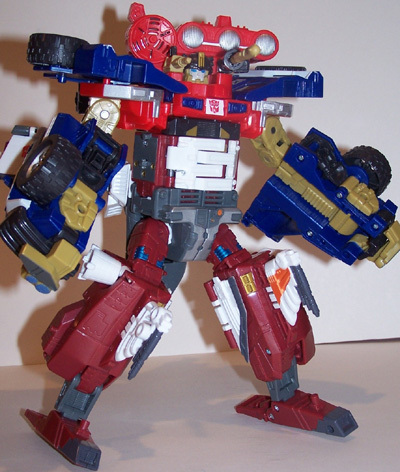 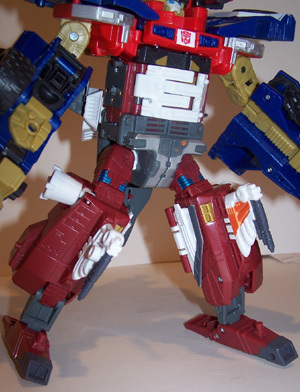 Weaknesses: Similar to his previous form, Jetfire's stocky build limits his agility in robot mode. 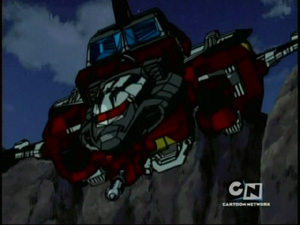 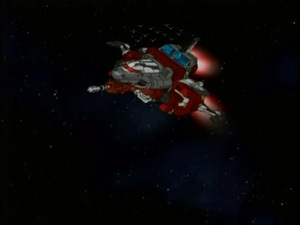 *Energon episode #8: Starscream The Mysterious Mercenary - Powerlinks with Ironhide. 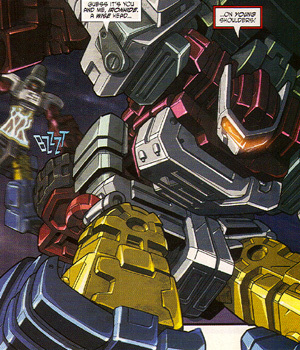 * Energon #26 - Petitions the High Council for more reinforcements to Earth. 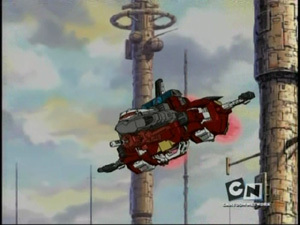 * Energon #28 - Leads Autobots in Los Angeles against Insecticon clone's attack. 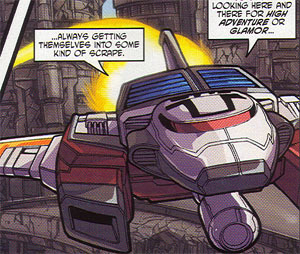 Other appearances: There was the original G1 Jetfire (/Skyfire). 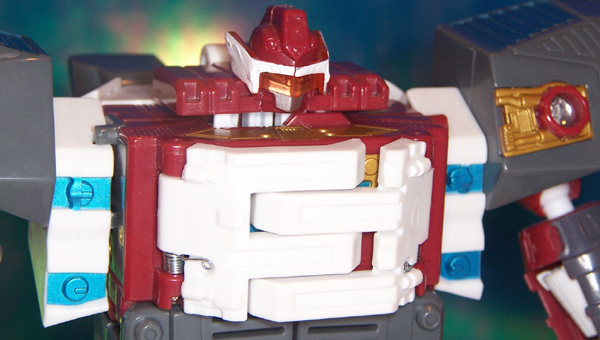 Given what we know about their personalities, this certainly seem like yet another example of two different individuals with the same name. 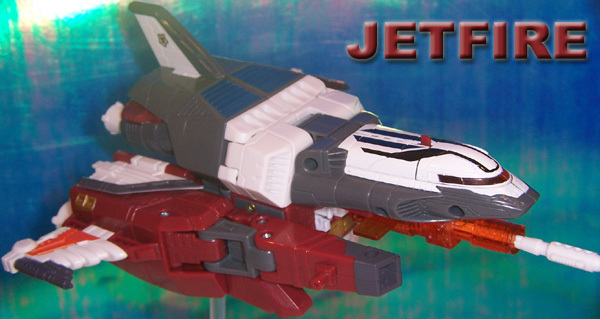 There was a G2 Jetfire Cyberjet released in 1995. 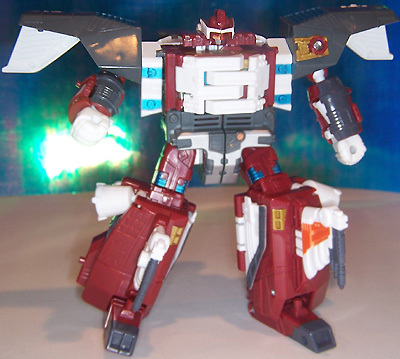 Another individual with the same name would appear as Armada, Jetfire and Powerlinx Jetfire each released in 2003. 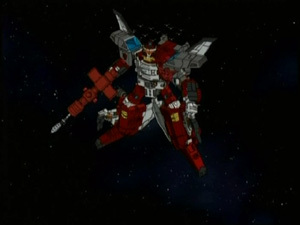 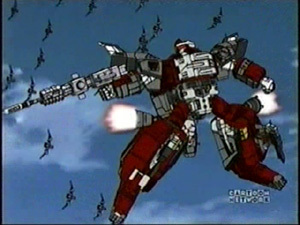 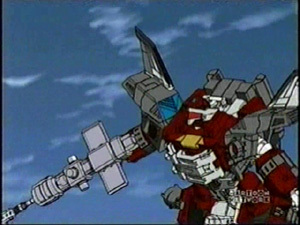 Energon Jetfire came just a year later in 2004 followed by Cybertron Jetfire in 2005. 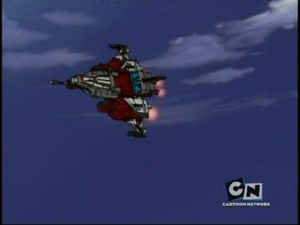 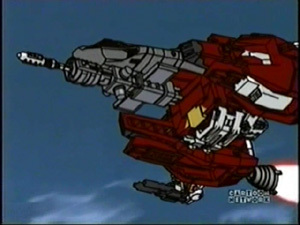 The only Skyfire toy to ever be made was a Decepticon jet available with Towline in the Robots In Disguise line, 2001.